Immerse yourself in libation inspiration with these five unique liquid experiences. Grab a velvet-clad stool at the sumptuous backlit Lobby Bar during cocktail classes at MGM National Harbor. The lessons are led by seasoned mixologists and include instruction, six cocktails, a recipe book and a mini Woodford Reserve Bourbon barrel for crafting cask-aged Negronis or Manhattans at home (Mon.-Thurs., 1-3pm, $95, $160 or $400 for one, two or five guests, mgmnationalharbor.com). After touring the fermentation tanks and copper stills at District Distilling, you can fill your own bottle with its award-winning C&O Tradesman Whiskey produced by master distiller Matthew Strickland, then add a personalized label ($60 per bottle, plus $10 for tour and tasting, district-distilling.com). Play mixologist at the weekly three-course, prix fixe dinner for four guests at Todd English’s MXDC Cocina Mexicana. It includes tableside bottle service of an exclusive Patrón Reposado Tequila aged in Limousin oak barrels. Enjoy it as a shot, sip it or mix it into custom margaritas provided with juices, garnishes and salt rimmers (Wednesday evenings, 4-10:30pm, $75 per person, mxdcrestaurant.com). 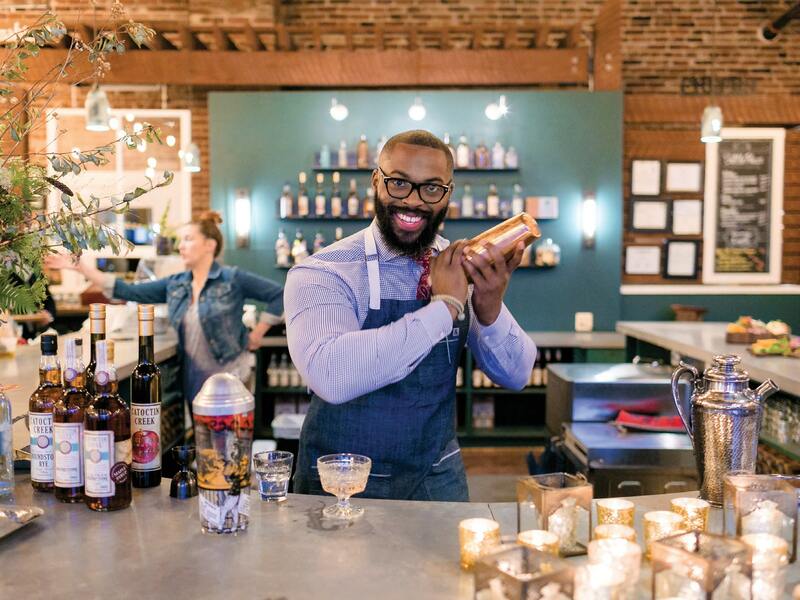 At Morris American Bar you can give your barkeep specific (or vague) intel on spirit preference, drink style and flavor profile, then let them have at it to concoct a drink tailor-made just for you ($12, morrisbardc.com). Play distiller for a day at one of Catoctin Creek Distilling’s monthly workshops. Breakfast and a full-on tour are followed by instruction on how to fill, cap, seal and package its award-winning Roundstone Rye Whiskey. You can sign and keep the bottle (Free, Purcellville, Va., catoctincreekdistilling.com).